Typically, summer is a time when things slow down in our offices. With some faith communities on hiatus and many religious leaders taking vacation, the pace of our work calms for a few weeks. This summer was quite different. 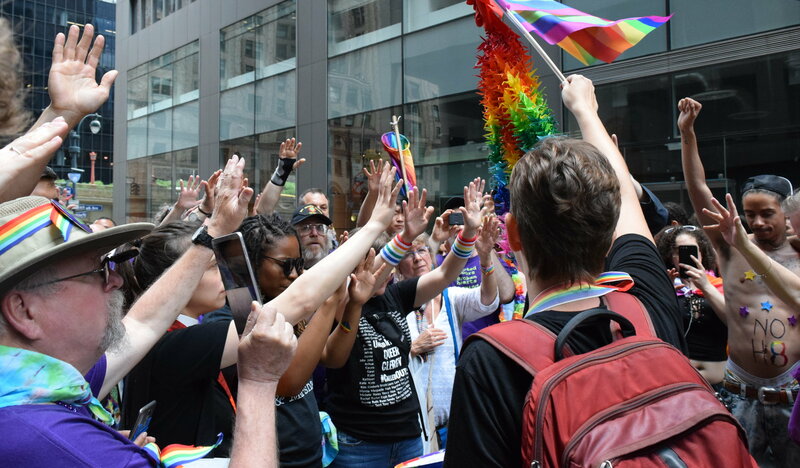 With a full-throated attempt to repeal the Affordable Care Act and numerous opportunities for religious resistance, we spent the summer resisting—offering trainings for faith leaders, taking action with people of faith, and advocating for sexual, gender, and reproductive justice. Our summer began with a trip to Texas where we joined local faith leaders to oppose multiple anti-LGBTQ laws being heard by their legislature. Later in May, we joined in celebrating the 50th anniversary and the relaunch of the Clergy Consultation Service on Abortion. Early in June, Rev. 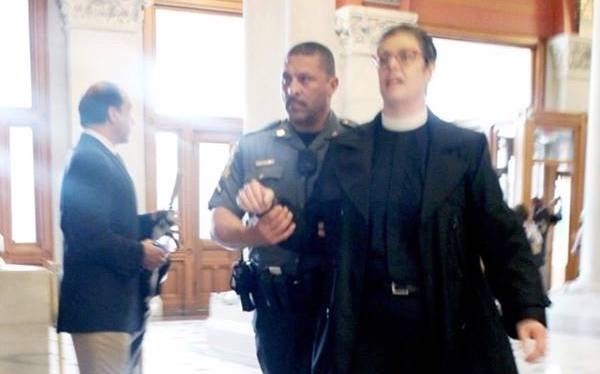 Marie Alford-Harkey was arrested for participating in a planned civil disobedience with Moral Monday CT, protesting budget cuts in Connecticut that would impact the most vulnerable. Throughout the summer, our staff offered trainings and workshops to religious leaders and people of faith. Rev. Marie Alford-Harkey presented at the UCC General Synod, Kentina Washington-Leapheart gave two presentations at The Fellowship of Affirming Ministries’ annual convocation, and Drew Konow spoke with a Trans Theology class at Brite Divinity School. Our staff also hosted a four-part webinar series on Religious Resistance and Reproductive Justice. Our efforts to resist the repeal of the Affordable Care Act (ACA) and the defunding of Planned Parenthood came to a head this summer. 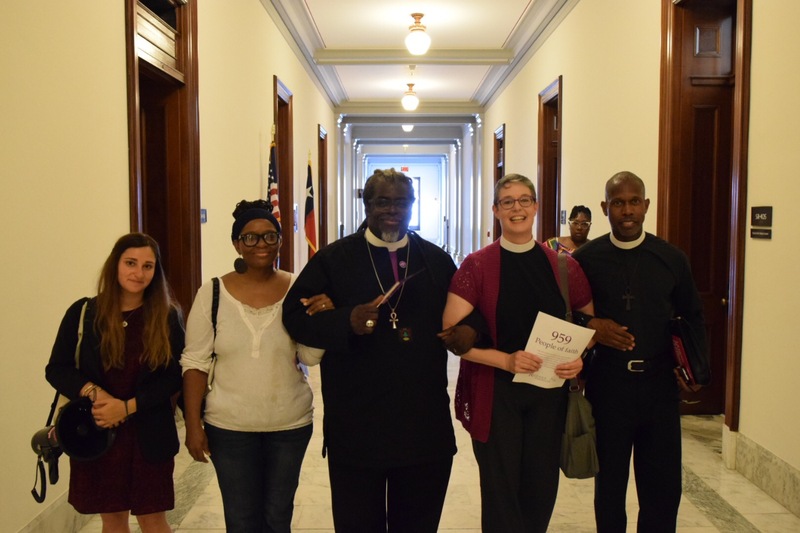 At the end of July, while the Senate debated its latest repeal bill, we delivered the signatures of nearly 1,000 people of faith in support of comprehensive, affordable health care, visiting several key Senate offices. Later, Rev. Marie spoke at a rally in support of Planned Parenthood. In addition to our work on health care, we also marched in the Minister’s March for Justice, joined in Pride marches, participated in counter-protests against white supremacists in Boston, and spoke out against the repeal of DACA, the current administration’s ban on transgender people serving in the military, the Nashville Statement, the white supremacist and neo-Nazi violence in Charlottesville, the murder of Charleena Lyles, and the acquittal of the officer who killed Philando Castile.